Get to know which hair gives you the best appearance from our pool of hair extensions available. All of them are distinct in their own way, and they will always ensure that you have a good foundation from where to make your decision. You will always find a way of satisfying yourself with our amazing products. Our hair extensions come with various features and easy maintenance procedures. You can also check available different types of hair and buy one that pleases you. The Tara hair extensions is a modern type of hair which is in high demand. It is one type I would recommend to women who find fun in maintaining simple hair and with little maintenance costs. It is also beautiful hair coming with good luster and some sense of luxury. Among the things that makes this hair much adorable is the fact that it is not affected by adverse weather patterns. It is the hair you can put on in a humid day, and it remains free from frizzing. Tara hair is good in appeal and manages to maintain its luster and durability. In appearance, this hair is amazing and is always attractive because if its simplicity. Tara hair is also natural as it is a pure Remy hair. It affords excellent permanence, and it is easy to maintain. For the ladies, it is always good to think of quality and style at the same time. The style offered by this hair is quiet unique, and if you go for it because of that style, you will also enjoy its good eminence at no extra cost. The hair sums up the beauty in a stylish way, and you can pick a color that pleases you. It comes in either black or dark brown color, but in each color, this hair maintains a medium level of luster. The Afro hair extension is perhaps the most impressive type of hair you can use for simple life. Both men and women can wear this hair, and it has a swagger of its own. Nowhere will you see this type of hair and fail to recognize it. Afro is not only used for beauty but also for uniqueness in both genders. It has a natural hair texture of some populations in Africa, Australia and some parts of Asia. This hair can be altered in shape and texture using hot hair combs chemical and flat iron through the process of relaxation. Other methods of straightening can also be applied during the maintenance of hair. This hair comes in different textures. You will find one texture which are very straight and fine. The texture can be very soft and shiny. As a feature of Afro hair, it is hard to put up a curl, being naturally rough is what makes the hair unique. This texture is also durable and looks naturally oily. The other textures include straight medium, straight, coarse and wavy. Yaki hair extensions are well known because of their unique colors and the numerous styles available. It is ideal for braids, cornrows, and twists. It is loose and comes with a slight curl at the end that can be sealed easily with hot water. It has a soft and silky feeling, and it is lightweight making it easy to braid. It allows you to have any kind of hair style that only your imagination can be your limitation. You can easily have a partial or full braided or twisted hairstyle to create a sophisticated style. To ensure a neat hairstyle, use oil sheen or spray regularly to maintain your Yaki hair style. Do not be scared of styling your hair; Yaki hair is 100% flame retardant. The hair extensions will not damage your natural hair; rather, it will protect it from external damages. Buy from a wide range of colors and get one that complements your hair color and style. Buy the best clip hair extensions here in Kilimall and transform your hairstyle. Clip-in hair extensions are easy to apply, and they add volume, fullness, length and highlights to your hair. Clip-in hair extensions are made from 100% Remy human hair that can be washed and heated without losing its quality. It is tangle free, silky soft and blends well with your hair. You can take them in and out in minutes, and the most appealing feature is that they are virtually undetectable. You can add highlights and clip-in hair extensions by yourself without chemical processing or damaging your hair. With clip-in hair extensions, you will experience the easiest way to style your hair and look gorgeous. Also, with the right single hair piece and color placed in a strategic place of your hairstyle, your beauty will be transformed to suit your preference. Clip-in hair extensions will fit perfectly in your life, be it at the office or in parties. They are made for the beautiful and elegant women. Buy high-quality clip-in hair extension at Kilimall at an unbeatable price and get to style your hair your way. Kilimall is giving you a chance to own the most amazing hair extension in the market currently. Brazilian hair extensions are popular because of their texture; it is soft, durable and thick. Hair stylists highly recommend them as the best type of human hair extensions you can buy. Brazilian hair extensions will blend easily with most ethnicities, be it Caucasian or African relaxed hair texture. It is luxurious and very soft with a lot of natural shine and body. It does not frizz, and it holds curls longer than any other hair extensions. Get this extremely versatile hair extension at Kilimall and get to choose from a wide variety of different grades and colors of the real Brazilian hair extensions. The Peruvian hair is known to be coarser than the Brazilian, but it will solve your hair needs. It forms curls easily and using straighteners and curl activators you can style your hairdo easily and give it a look you deserve. You can have one set of Peruvian hair extensions but keep on changing the styling frequently. It is a dense type of hair, so you will not need much of it to fill your head. This type of hair is very dense, and you do not need so much of it to fill your head. It is light, and you will not feel like a burden on your head or any form of discomfort. It is a low maintenance type of hair extension but will still serve you for a very long time. We serve numerous happy customers daily, so check for your preferred Peruvian hair extension. The Bebe hair extension is very similar to Yaki hair in terms of appearance. It is straight with no curls and comes in pitch black color. It is also very soft, and this makes it much admirable. It always appears great on a lady wearing such soft hair. Its soothing texture is very exciting on hand, and anyone who places the hands on this hair will love it to the moon. The hair is attractive and looks natural. Since the hair is flowing, it also carries an element of luxury, and when you put it on, you can expect fascinating complements. This type of hair is very dense, and only a few bundles will fill your head. This means you can even save some cash with this type of hair. Other characteristics include above medium luster which does not fade with time or under any weather pattern. The hair is also resilient and easy to maintain. Since it is free from frizzing during humid weather, you certainly don’t require anti-frizzing chemicals. Finally, this hair is lovable because it has an easy application mode which is not strenuous during the application process or removing. Hair extensions have been worn since time in memorial. In Egypt, both men and women wore hair extension for cosmetic and fashion purposes. Having long hair is associated with youth and beauty and women have always admired longer, fuller hair and wigs and extensions to achieve that look. With just a few minutes, with the right extensions, short hair will become long, lush and full. Kilimall is a good place to purchase high-quality hair extensions. We have the best hair suppliers on board. We have hair for a formal occasion when all you want is to look exceptionally, classy and distinctive. There are hair extensions for fun when you want to change your hair color in minutes. If you are planning to purchase hair extensions, look no further than Kilimall. The hair is the heart of woman’s pride and to be better and visible among crowds, it is advisable to invest on long-lasting hair. Coming up with the best type of hair can sometimes pose challenges. In other worlds every lady is looking for hair that suits her demands. You will, therefore, have a very wide base to make your decision. Here you will find a wide variety of hair with varying qualities. Buying your hair at Kilimall enables you to enjoy some security for your cash. Always stick to one trusted and established dealer for all your hair solutions. 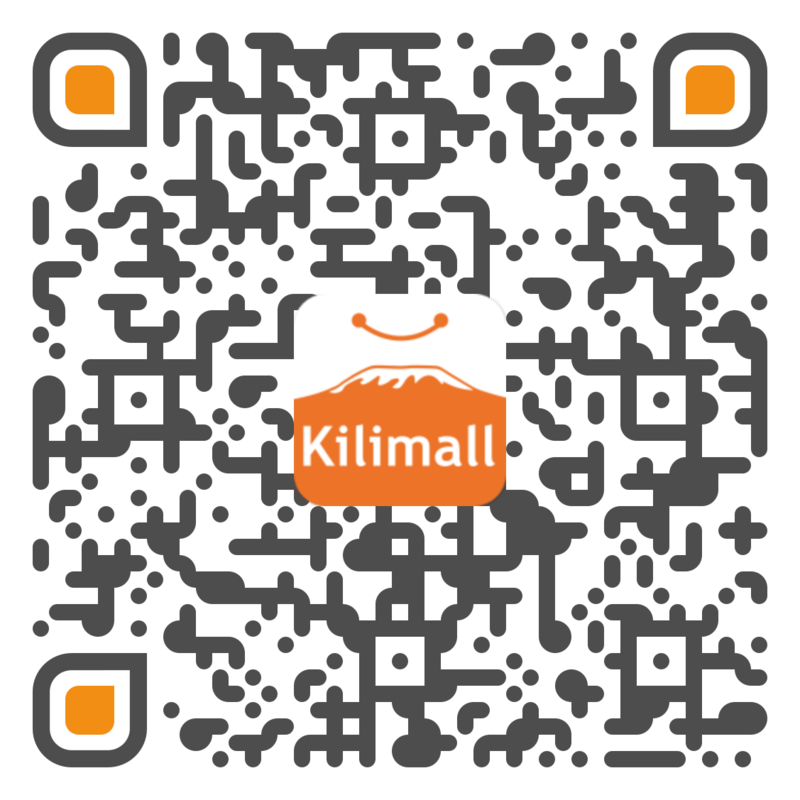 Kilimall is an established, qualified online seller and specializes in reputable products. It is only here that you will get lasting but cheap hair extensions and also receive fast delivery. It is, therefore, cheap, convenient and rewarding when you buy your hair from us. We guarantee you a satisfaction you will always remember.